7/8th of September at 7.30pm. 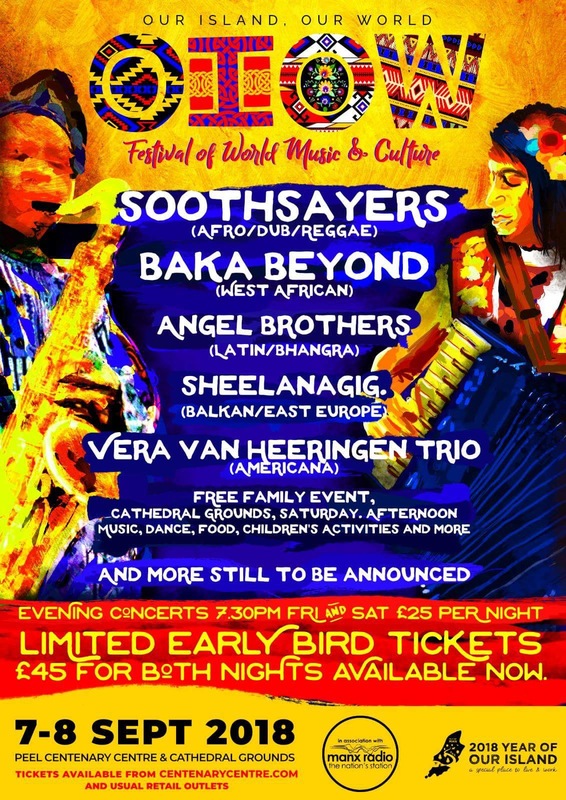 On Friday night we have Baka Beyond, playing music from the Baka people of Cameroon, West Africa. On Saturday afternoon (8th September) 12 noon until 5pm there is a FREE event suitable for all the family in the Peel Cathedral Grounds (in the Cathedral if wet). There will be dancing on the Labyrinth, Music in the new Amphitheatre, Global food, workshops ,and lots of things for Children! In the Corrin Hall there will be a celebration of the different communities living on the Island, again with Children’s activities , showing aspects of their various cultures. Come along for lunch, the Music starts at noon! Full details will be published later!